"Littoral" - The Strand, Red Bay, Labrador. 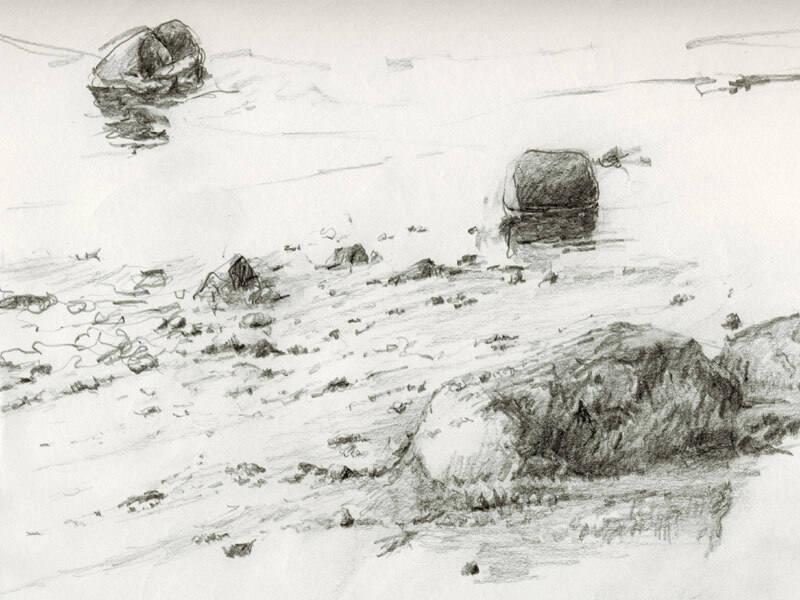 Graphite on paper, 9" x 11"
At the same time as I am having fun observing the erosion effects of the rocks in this area, I am also having fun with the technical names of the features I am portraying. The word "Littoral" relates to a shore, especially the sea-shore, and most particularly in a coastal region, the shore zone between high and low water marks. I suppose I could have said, "Rocks at Low Tide" but that other word is a lot more interesting!